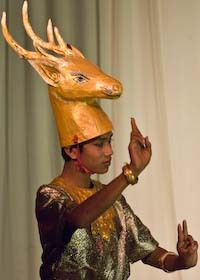 Cambodian dance has a history of more than a thousand years. Here are my attempts to learn more about it through the medium of photography. Exhibition of photos of the Royal Ballet at the National Museum of Cambodia, 2010. Exhibition on Cambodian performing arts at the Museum of Dance in Stockholm, 2011. Sacred Dancers of Angkor at the River of 1000 lingas. Exhibition of photos of the Royal Ballet at the National Museum of Cambodia, 7 March - 20 April 2019.